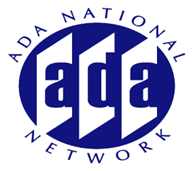 While more than 27 plus years have passed since the implementation of the ADA there are areas which continue to raise questions and cause confusion. One of these areas relates to Service Animals. This session will explore the rules governing service animals in a variety of settings including but not limited to the workplace; education; healthcare; business, public spaces; hospitality and travel venues and places of recreation. Bring your scenario’s to share and discuss with the presenter. Learn what your rights are as a person who uses a service animal and/or as someone who deals with the public and has questions about how your organization should appropriately respond to service animal issues.